This process ensures that your website content is accessible to the search engines. It also identifies website errors and provides ongoing monitoring of your search results. 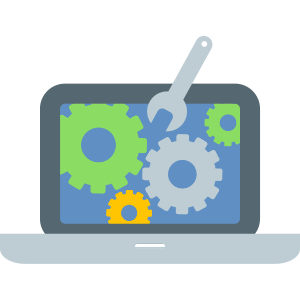 Using 3rd party tools, we will crawl your website to find broken links, audit redirects, generate XML sitemaps, discover duplicate content, and analyze page titles & meta data. We will review (or create) your account, which is a free tool from Google to help you monitor and maintain your site’s presence in the Google search results. Bing offers a similar tool to help you manage your presence on their search engine. We will review your account or create a new one if one does not exist. The way you structure your website can influence Google’s ability to locate and display relevant URLs in its search results. We will review your site architecture, looking for opportunities to maximize your search presence. Google has publicly shared that it uses site speed as a factor in its algorithm. We will review your site speed on desktop and mobile and recommend specific improvements if applicable. Google has reported that over half of all search queries come from a mobile device. Therefore, it is imperative that your site is mobile-friendly. We will review your mobile presence and ensure it follows best practices. Search engines allow additional information to show in the organic search results based on your industry. This information provides helpful information to searchers. For example, recipe sites can includes calories, cooking time, and reviews. We will review the links to your website and rank them by relative authority. By understanding what links are providing the most benefit, we can recommend content that is valuable to that target audience. We will review your site content to ensure it is well-positioned to rank for the highest volume search queries relevant to your product or service.